Chippewa Valley artists have no excuse not to submit their creations to ArtsWest, the annual juried art show sponsored by the L.E. Phillips Memorial Public Library: In celebration of the show’s 40th year, there are no entry fees. All working artists and students age 18 and older who reside in Wisconsin are invited to submit their artwork for the show, which will be held April 7 through May 28. One large or two small pieces per artist should be entered via submittable.com by the Jan. 14 deadline. 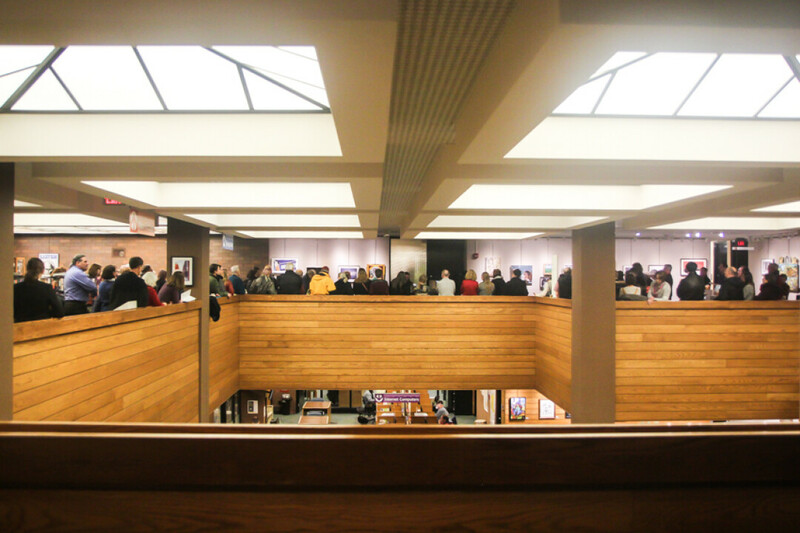 Detailed entry information can be found by calling (715) 839-4834, emailing art@eauclaire.lib.wi.us, or visiting https://bit.ly/2KZ829u. Cash prizes are available, including $300 for Best of Show. The jurors for ArtsWest 40 are Franklin and Lynn Zetzman of Appleton. Franklin is a 1977 graduate of UW-Eau Claire, where he received a bachelor of fine arts degree in design with an emphasis in sculpture and drawing. He earned his master of fine arts degree in ceramic sculpture and lithography in 1986 from UW-Madison. Lynn Zetzman has taught art at the K-12 level for 33 years,and is director of the Aylward Gallery at UW-Fox Valley.